Sofia Richie Happily Dating Scott ... 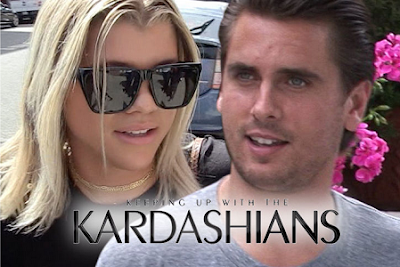 But No Plans To Join "Keeping Up With The Kardashians"
Sofia Richie won't be on "Keeping up with the Kardashians" even though she's dating Scott Disick because they haven't crossed a certain bridge yet ... his kids. Production sources tell TMZ there's absolutely zero plans for 'KUWTK' to cast Sofia, contrary to reports. While she's been with Scott a lot, they are told she's NOT with him when he's around his kids, which is when he's usually taping the show. Their sources say this isn't a jealously thing -- Kourtney didn't influence producers to keep Sofia off cam. We're told the sisters don't personally know Sofia. They are told if there's a glimpse of Sofia that makes it on the show, it would most likely be an inadvertent shot during one of Scott's club appearances when she typically is with him. » Sofia Richie Happily Dating Scott ... But No Plans To Join "Keeping Up With The Kardashians"